June 2018 update: there is significant political unrest in Nicaragua at the moment. Check travel advisories before going. Nicaragua is somewhat of a new frontier in Central America. Case in point: the Lonely Planet guidebook for Nicaragua is only in its 3rd edition, compared to about a dozen editions for countries like Costa Rica or Mexico. Nicaragua has long been off the radar due to years of political and civil unrest, but these days the country is stable and open for tourism—and becoming increasingly popular. Go there while you can still enjoy rock-bottom prices! Not only is the country very inexpensive to travel, there are also a lot of great things to do in Nicaragua. The scenery in Nicaragua is maybe not be quite as impressive as that in Guatemala or Costa Rica (subjective as that is to say, of course! ), though its many volcanoes, beaches and Nicaragua lake do make it well worth a visit. It offers some good cultural travel opportunities as well, particular in the colonial cities of Granada and Léon. Since tourism is relatively in its infancy, Nicaragua may strike you as pleasantly low-key. For backpackers following the gringo trail through the Americas, Nicaragua is the perfect place to recharge or to find relief after expensive Costa Rica. Nicaragua can of course also be a great choice for a single-country trip. A haven for active pursuits. Whether it’s surfing in San Juan, kayaking or mountain biking around lake island Ometepe, or boarding down the slopes of an active volcano (!! ), the active traveller will find a lot to do in Nicaragua. A place to slow down and relax. It’s equally easy to embrace your inner sloth in Nicaragua. Ometepe island, which is in the middle of lake Nicaragua, is a particularly relaxed place with little traffic and plenty of hammocks. Look for surfer hangouts on the pacific coast where you can cheaply rent a place right on the beach. Relatively low crime levels. While you shouldn’t take this to mean that it’s 100% safe everywhere (the capital Managua does have a bit of a bad rep), Nicaragua has fortunately mostly escaped the gang violence that has afflicted other nearby countries. If the grittier Honduras or El Salvador make you at all uncomfortable, consider Nicaragua as a safer alternative. Extremely affordable. There’s good dorm beds to be found for just $5 – $6 a night or budget private or semi-private rooms for as littler as $10. A typical meat-with-rice-and-beans set meal will set you back just $2 (2014 prices). 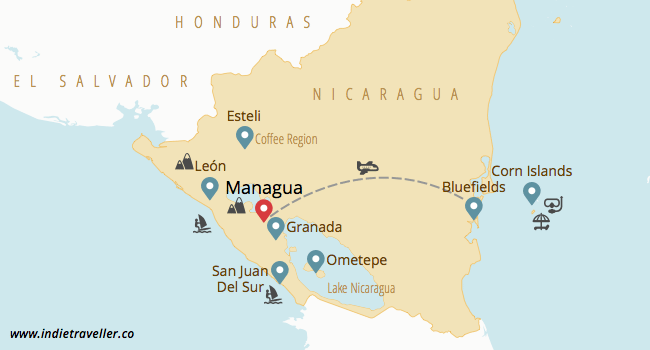 Undoubtedly prices will rise in the years to come, though at the moment Nicaragua is quite possibly the cheapest destination in Central America. While Nicaragua is the largest country in Central America, the majority of its key sights and cities are clustered in the south-west. See those two lakes near the pacific coast? 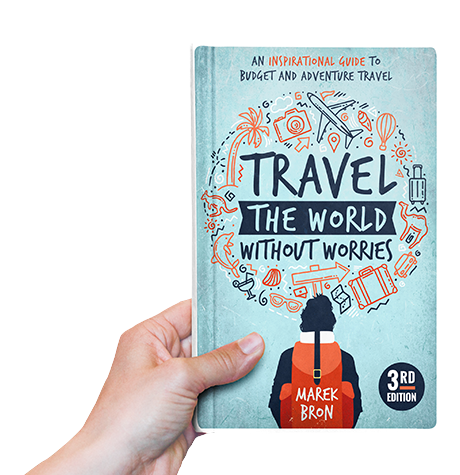 That’s where most things are, and that’s where you can focus much of your trip research. Distances between the major sites here are pleasantly manageable; typically the most you will have to travel between places in this region is about 6 or 7 hours. While the capital of Managua was mostly flattened in an earthquake years ago (and is now an unappealing sprawl), the cities of Granada and León are fortunately very well preserved and full of Spanish colonial architecture. Ometepe is an extraordinary island formed by two joined volcanoes called Concepcion and Maderas and located right in the middle of Lago de Nicaragua. 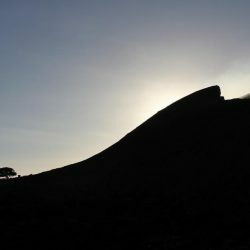 Hiking the volcanoes, kayaking and mountainbiking are the main activities here. 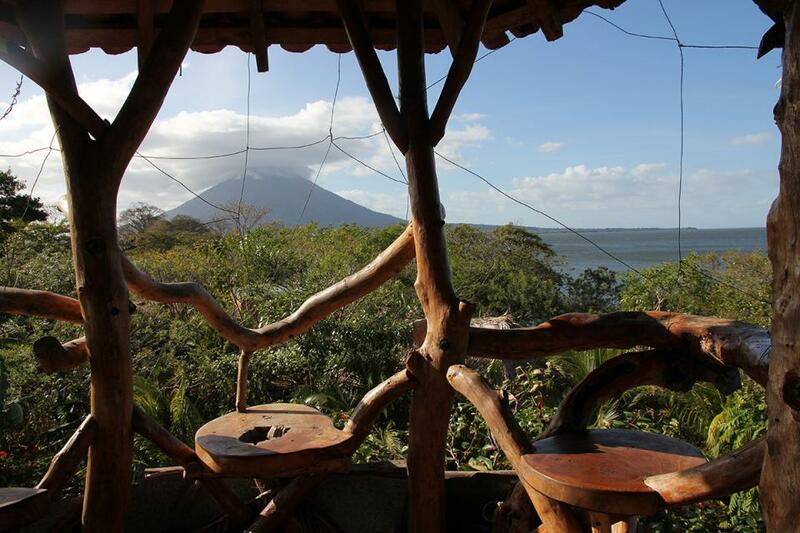 But if that sounds exhausting, Ometepe is fortunately also a wonderful place to unwind. Read a book in a hammock while enjoying lakeshore views, or take a swim in the island’s thermal springs. 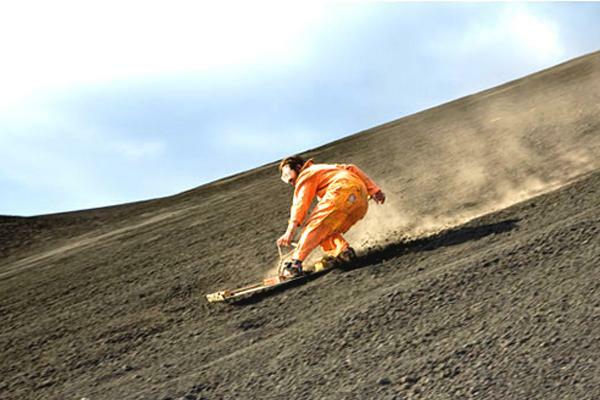 In Nicaragua you can go “volcano boarding”. This improbable combination of words means exactly what you’d think it does: you hike up a volcano and then glide all the way down on a board. Nicaragua claims to be the only place in the world where you can do this. There’s a number of different operators with tours leaving from Leon, with some using speed meters to keep score of everyone’s top speed. Some people do get injured while volcano boarding, so be careful! Travel blogger Matthew Karsten has a great write-up of this experience. The Corn Islands are Nicaragua’s remote outposts on the Caribbean side. Most native islanders here have more in common culturally with Caribbean islands than they do with the Nicaraguan mainland, and you will find that most people speak English. The islands have almost no traffic, with small golf carts being the main form of transportation. Both Big Corn Island and Little Corn Island make for excellent bases for snorkeling, SCUBA diving or ocean fishing. While it is possible to get to nearby Bluefields by bus and then take a ferry, this journey takes very long and runs along very badly maintained roads through the jungle; it’s easiest to simply fly to Big Corn Island from Managua. 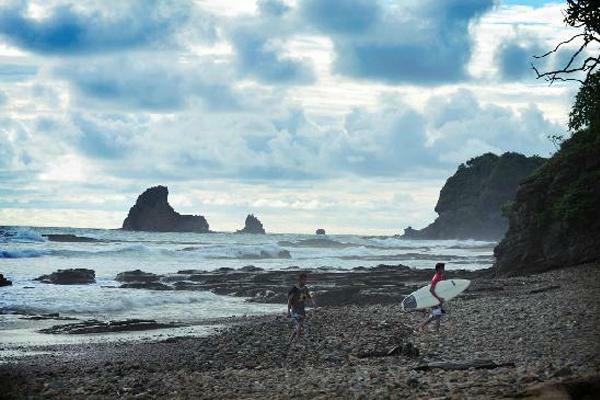 San Juan is Nicaragua’s number one surfer and backpacker party hotspot: a place that may not appeal to everyone, but can make for a fun stop along the way. It has ‘gringofied’ a great deal, though it’s still a very small and laidback town—and a far cry from the slick beach developments in countries like Mexico. There are regular movie nights and pub crawls in town, as well as the legendary Sunday Funday, which is essentially a big wild pool party with great sunset views. San Juan is home to three notorious Canadian or Australian-owned hostels where games of beer pong are a regular occurrence: Pacha Mama, Naked Tiger and Casa de Olas. Warning: these are not for those wanting a good night’s rest. 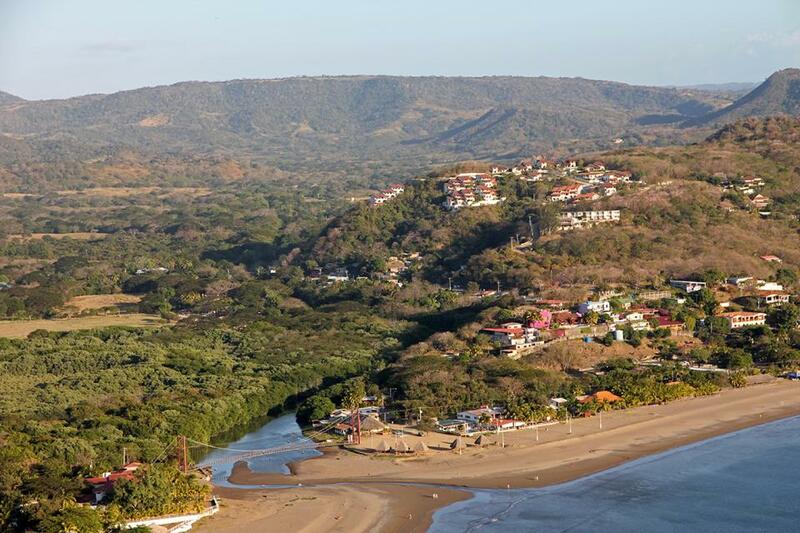 San Juan del Sur is not all about partying. 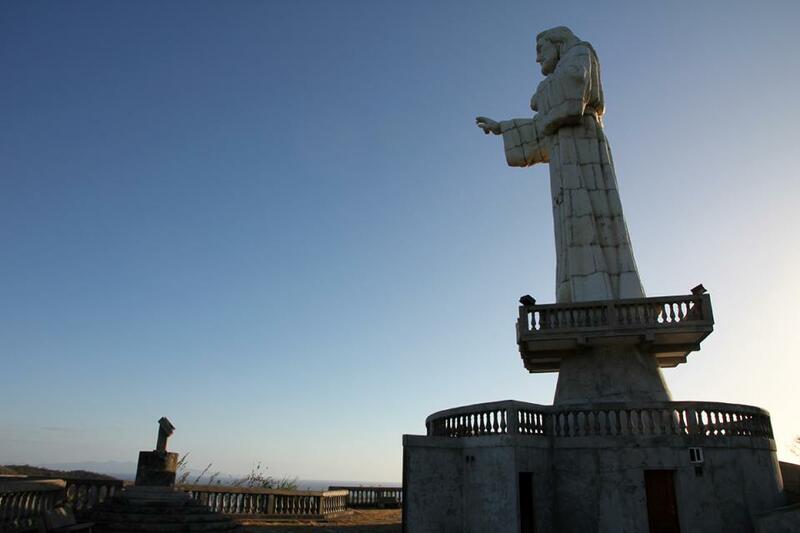 You can take fishing or snorkelling trips from here, hike up to the town’s Jesus statue overlooking the bay (a very poor man’s version of Brazil’s Cristo Redentor), or learn Spanish in one of the many affordable language schools. Several beautiful beaches are just a short jeep ride away: the playas hermosa, marsella and maderas. If you are seeking a more tranquil place near San Juan you’d do well to go to playa Maderas, which is about a 20-30 minute drive north from town. Jeeps and pickup trucks regularly take passengers from San Juan throughout the day. The beach in San Juan town itself may not be much to write home about, but Maderas is a stunner. I stayed in one of the hostels on this beach for a week, and there’s nothing like waking up in the morning and going for a run on an empty beach with hundreds of little crabs dispersing in your path. Around noon people from San Juan begin to arrive making the place very lively, though it turns completely quiet again around 5pm. It’s a magical place that has very much the opposite vibe of San Juan. Besides volcano boarding, Leon is also a great base from which to go on volcano hikes. I can highly recommend hiking up to the top of Mount Telica, a still-active volcano. You can lie down on your belly and peek over the edge of the crater to see the lava below; it’s an immediate drop of hundreds of meters. The hike up is beautiful and not too strenuous, though go with a guide as there are scorpions, tarantulas and rattlesnakes to avoid on the way. It’s possible to take a daytrip or to camp at the top and stay the night there. Apparently, it’s also possible to drive up the volcano and only walk the last bit, but the hike is very nice and makes the crater feel all the more rewarding. Read This: On The Edge Of Mt. Telica Volcano: Hear It Roar! Little Morgans Ometepe Island Characterful lakeside hostel with rooms and dorms craftily made from wood branches and natural materials. A ‘crow’s nest’ area looks out onto the volcano. They don’t take reservations, so you have to be lucky. Hostel Hola Ola San Juan Del Sur Perfectly located (just beyond the bridge on the edge of town). Pool, BBQs, movie nights — not so over the top as San Juan’s party hostels. Hostel Esperanza San Juan Del Sur Dorms and beds, located in town. Courtyard with hammocks. Managua Backpackers Inn Managua The top rated hostel in Managua, centrally located in downtown area. Hostal Casa Ivana Leon Friendly and relaxed hostel. Nice alternative to the loud party hostels in Leon, like the Bigfoot hostel. Kitchen facilities, common area, and volcano boarding tours. Hostal Colibri Leon Another nice option in Leon. El Memento Granada Relaxed and tranquil hostel (rooms and dorms) just a stone’s throw from the main square. Casa del Agua Granada Guesthouse with private rooms in charming colonial building. If you want to enter into Nicaragua you need to do a pre-apply else you need to wait at the border and the officers aren’t very pleased. It is only needed for overland crossings. I hope this helps someone and maybe you can add this to the article. Love that featured image as I spent so many evenings hanging out beside that church. Would grab a hot dog from the vendor by it, chill and people – and puppy – watch. Fun times and great guide here. I am volunteering at a hotel by Laguna de Apoyo for three weeks. It is soo beautiful and chilled here – a farcry from San Juan del Sur where the party never stops! Have you visited Esteli? 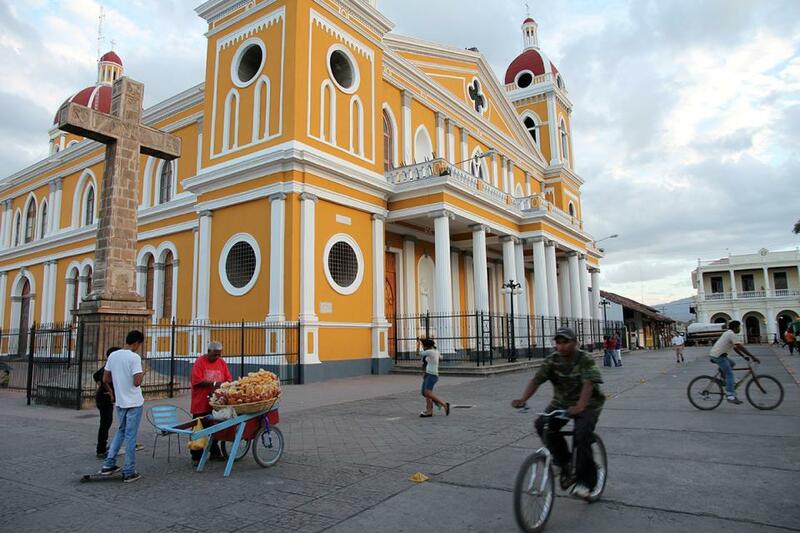 Esteli is not so hot city like Granada or San Juan del Sur, and it’s cheaper than both cities. Thanks Charlie, glad they’re proving useful! Leaving the housesitting gig then? 🙂 Hope you’ll have a great time journeying north.